Appliances Repair Oshawa is proud to serve the commercial and residential communities in Oshawa, ON with excellent service every day. Our commitment to excellence is legendary in the community. Our specialists have proven again and again that they can provide superb service quickly and efficiently. Our experts excel at freezer repairs. 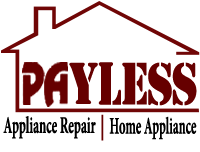 We can fix them in your home or at your business just as effectively. If you realize your freezer is not working appropriately call us as soon as possible and we will fix the problem. We take care of your freezer so it can take care of you. Whether you are keeping food frozen at home or in a commercial establishment these units work very hard to keep the temperature where it is supposed to be. There are many things that can cause your freezer to work even harder and eventually lead to the need for residential or commercial freezer repair. 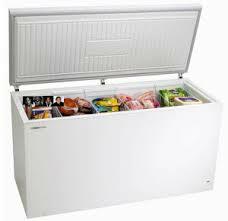 Our specialists offer fast and accurate freezer repair service in Oshawa. The first thing we do is examine your freezer to see if the gaskets and door hinges are in good shape. If the hinges or gaskets are not allowing your freezer door to shut securely than there is a good chance your unit is working harder to maintain the proper temperature. Our experts can replace gaskets and hinges quickly and affordably. If these items are okay then we look at the condenser and evaporator coils. We will check to ensure your unit is not leaking refrigerant and check the thermostat switch too. Last, but not least, we will check the compressor or motor. Oshawa Appliances Repair can also work on your residential or commercial icemakers. If these units give you a problem give us a call and we will solve the problem fast and at reasonable rates. Get in touch with us today.